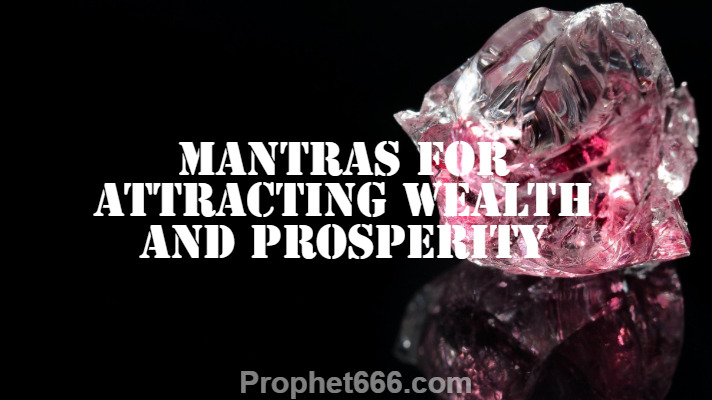 In this post, I have written about two most powerful Aishwarya Prapti Mantras or Mantras for gaining all kinds of abundance and prosperity in life, including success, money, material comforts and good health. These are very effective Satvik or Pure Wealth Generation Mantra Chants. Basic Rules for Chanting these Mantras are not present in the original texts, However, as these Mantras have their origins in the Jain Religion cleanliness of the mind and body is most essential for practicing these Mantra Chants and getting the expected results. The only recommendation is that the Mantra Chanting should be started on any Friday and sincerely chanted daily because these are long-term Money and Wealth Attraction Mantras. It does not matter, if you cannot chant these Mantras for a few days due to illness or any other unavoidable reasons. Both these Wealth Generation Mantras have the same wordings, expect the word “Lakshmi” “लक्ष्मी" which is missing in the second Mantra. Hence, these are Jain Versions of Lakshmi Mantras because the Beej or Root Mantras are the same as those that are found in most Hindu Mantras. It is not essential to chant both these Mantras and the practitioner can select anyone of the two Mantras given below and chant it for 1 Mala or 108 Mantra Chants daily. Notes – As mentioned above there are no prescribed rules of specific Disha, Aasan, Puja-Vidhi etc. However, if a woman wishes to practice this Mantra Sadhana, she should discontinue it during her Monthly Cycle Days. Any Mala, including a Rudraksha Japa Mala can be used to count the 108 Mantra Chants. You can also see the Money and Wealth Mantras and Lakshmi Mantras and Prayers sections of this site for numerous other Mantras for getting money, wealth and abundance of all kinds. Can you give us mantra to chant during Chaitari Navratri which is starting from 6th April ? Or any Devi mantra should be good ? नवरात्री के ९ दिन में शक्ति सबंधित साधनाए करना सौभाग्य ही कहा जा सकता हे. महाविद्याओ की साधना के लिए भी यह समय श्रेष्ठ होता हे. इस समय देवी साधनाओ के कुछ विशेष प्रयोग भी हे जिन्हें अगर किया जाए तो सफलता की संभावना बढ़ जाती हे. अपने सामने श्री भुवनेश्वरी की तस्वीर रखे और सामान्य पूजन करे. श्री माँ को श्रद्धा से वंदन कर के निम्न मंत्र का ५१ माला जप करे और संभव हो तो जाप समाप्ति के बाद १०१ आहुतियाँ घी से प्रदान करे. यह प्रयोग एक दिन का ही हे लेकिन अगर साधक साधक इसे पूरे ९ दिन तक करले तो सभी दिशाओ से पूर्ण सफलता प्राप्त होती हे. यह प्रयोग रातको करना चाहिए , जिसमे वस्त्र और आसन श्वेत हो, उतर या पूर्व दिशा और मुख हो. इस साधना को सम्प्पन करते ही साधक के सामने आय के नए स्त्रोत खुलने लगते हे, रुके हुए काम शुरू हो जाते हे और श्री माँ की कृपा द्रष्टि से वह भौतिक एवं आध्यात्मिक स्तर पर सफलता प्राप्त करता रहता हे.